Use this Universal Magic Arm two-pack from SmallRig to mount a monitor, microphone, light, or other accessory on your camera, cage, or rig. 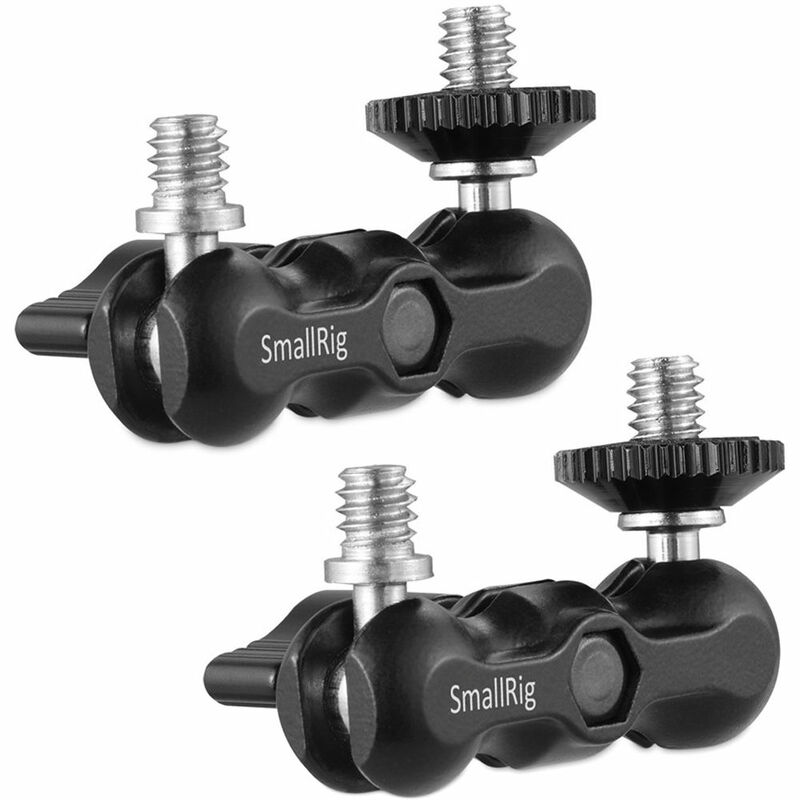 Each Magic Arm features a rotating ball head and a 1/4"-20 mounting screw on each end. The ball ends are tightened by a center locking lever, and one end features a locking thumbscrew. Both arms are made of durable aluminum and have a load capacity of up to 2.2 lb. Box Dimensions (LxWxH) 3.6 x 2.7 x 1.2"